On March 13th, Wildsight will present the Keep Jumbo Wild petition supporting the Qat’muk declaration to the Ktunaxa tri-nation leadership at a special ceremony in Cranbrook (please join us if you’re local). After that, we’re travelling to Victoria to present the petition to Christy Clark’s government before the upcoming BC election (please join us in Victoria). We’re honoured to be asked to present our petition to the Ktunaxa leadership, so let’s show them just how many people around the world support their cause. So far, almost 58,000 people like you have made a stand and signed our petition to Keep Jumbo Wild, but we’d like to make an even stronger impact with 60,000 … so please share the petition with your friends and families and followers! Together, our voices for conservation, for grizzlies, for indigenous rights, and for Jumbo Wild will be heard loud and clear. And if you’ve signed the Jumbo Wild petition, use the hashtag #ISTANDWITHJUMBO on social media to share how/why you got involved. It can be a picture of yourself on Instagram saying why you signed the petition, or a tweet about the Jumbo Wild documentary on Netflix, or a Facebook post about… well, let your imagination go wild! If you stand with Jumbo, we want to hear about it. 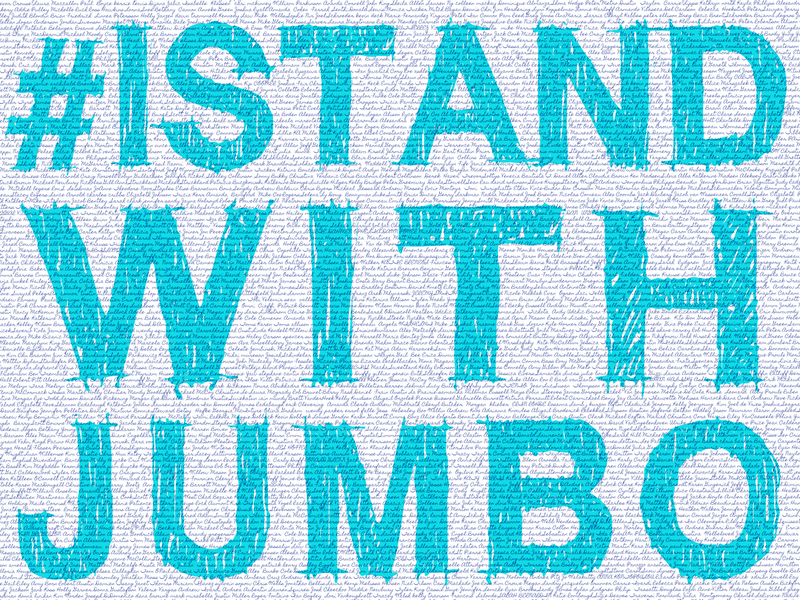 We’ll be sharing some of our favourite #ISTANDWITHJUMBO posts as they come in, so get with the hashtagging! And, most importantly, don’t forget to sign/pass on the petition!